A re-telling of traditional plays from Japan, where the little guy ends up on top! Here Bench Theatre take three of Henry Livings' Sam Pongo plays; 'Rattel', 'Tiddles' and 'The Gamecock' and present them in a evening of entertainment together. A hilarious parody of the stereotypical parlour mystery. Livings was a working-class playwright whose farces convey serious truths. His plays, which resemble parables, exhibit both a dazzling comic flair and an unexpected force and profundity that is heightened by his use of colloquial language. After attending the University of Liverpool, Livings was trained as an actor at Joan Littlewood's Theatre Workshop, an experience that was to have a lasting impression on his work. His first stage play, 'Stop It, Whoever You Are', about a washroom attendant, was performed in 1961 and his early plays were reasonably successful. Livings was unique in his dedication to the entertainment of his audiences, however, his later plays were generally less successful. It is to be noted however that the Pongo Plays featuring the commonsense folk hero Sam Pongo, was performed outside London with some success. His autobiography, The Rough Side of the Boards, appeared in 1994. Born in Czechoslovakia, Stoppard grew up in Singapore and India during the Second World War and moved to England in 1946 with his mother and stepfather. He started work as a critic for various newspapers in Bristol. Stoppard's plays have brought him to the forefront of modern English dramatists. His plays for the National Theatre have included 'Rozencrantz and Guildernstern Are Dead', 'Jumpers', 'On the Razzle' and 'The Coast of Utopia' and to date he has won two Tony Awards. His plays are all highly theatrical and witty. The Pongo plays are Henry Livings' re-telling of traditional plays from Japan and elsewhere. 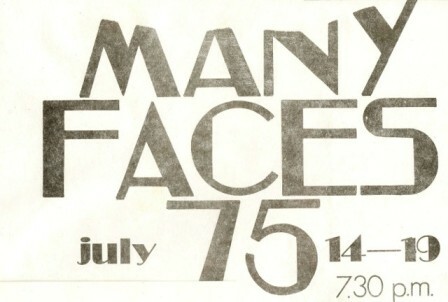 There are twelve plays in all, the first six were published as an anthology in 1971, the next six (which included two plays specifically for children) were published together in 1974. The central character is Sam Pongo, a wily, working-class hero who lives on his wits, and other people's daftness. He loves to run rings around his Master - and frequently does. The Sam Pongo Roadshow was a name coined by the Company in the production of three of these stories; 'Rattel', Tiddles' and 'The Gamecock', interspersed with two monologues; 'Hoodoo McFinnigan's Christmas' written by Stephen Leacock and performed by John Scadding, and 'Sermon' written and performed by Tim Mahoney. This is a short, one-act play whose plot follows two theatre critics named Moon and Birdboot who are watching a ludicrous setup of a country house murder mystery, in the style of a whodunit. By chance, they become involved in the action causing a series of events that parallel the play they are watching. Written between 1961 and 1962, it was initially named The Stand-ins and later, The Critics. It is a parody of the stereotypical parlour mystery in the style of Agatha Christie's 'The Mousetrap', as well as of the critics watching the play, with their personal desires and obsessions interwoven into their bombastic and pompous reviews. The Real Inspector Hound, much like Stoppard's earlier play 'Rosencrantz & Guildenstern Are Dead', examines the ideas of fate and free will, as well as exploring the themes of the 'play within a play' and it is a fine example of absurdism, farce and satire. These plays were staged under Bench Theatre's original company name of Theatre Union, at their theatre in West Street. It was actually the building in West Street, Havant where most of the Company's early plays were staged, which was called The Bench Theatre (after its prior use as a magistrates' court). The company's name was changed gradually by word of mouth and general usage between the years 1973 - 1977 when reviewers, and then members themselves, gradually stopped referring to Theatre Union and started calling the company of players 'Bench Theatre'. The new Company name of Bench Theatre was adopted in to all the promotional literature after they moved from the old theatre (which had been their home for nearly 7 years) in to the Old Town Hall building in East Street.